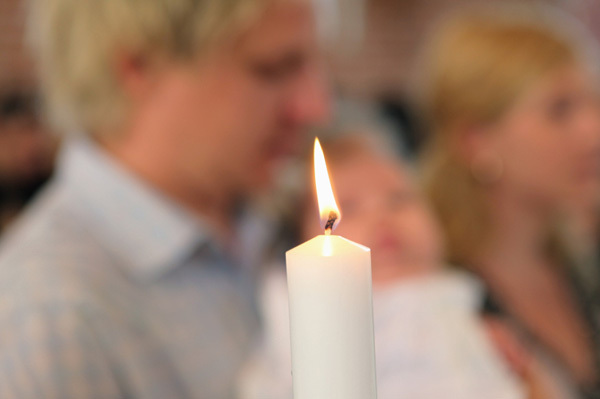 Being invited to a sacred event such as a baptism or christening is an honor, but if you’ve never attended one or practice a different religion, you may feel a little intimidated. What will happen during the event? What are you expected to do? Should you bring a gift, and if so, what would appropriate? These are just a few of the questions you may have already asked yourself. Read on to learn some of the answers. To ensure you’re up to speed on the proper baptism and christening etiquette, check out the following tips. This expert advice will help you feel comfortable during the event, while being a respectful guest. If you practice a different religion than the person or child being baptized or christened, you might wonder whether your attendance is appropriate. If you have been invited to the event, you can assume your presence is not only welcome, but desired. Father Albert Cutié, author of the New York Times bestseller Dilemma: A Priest’s Struggle with Faith and Love, says that a baptism is a sacred event and guests should show up for more than the after-party. “The main event is the ceremony at the church,” he explains. Don’t feel obligated to mimic the exact behavior of other guests in attendance. “All that is required of any attendee at these special ceremonies is to demonstrate respect and reverence for the occasion and for the faith of the host. This means dressing appropriately, being quiet during the service, standing when invited to do so by the officiate and singing hymns. One is not required to kneel, make the sign of the cross, participate in recitations from a prayer book or to pray if those are not practices of one’s own faith or if one is uncomfortable doing so,” explains Mitchell. If you bring children to the baptism or christening, “prepare them for the event and explain to them what will be happening,” advises Luann Alemao, an author and national speaker on etiquette issues whose husband is a pastor. As with any ceremony, if a child begins to cry loudly or act up, find a quiet place to take the child until he or she calms down. When selecting your outfit, consider what you would wear to a wedding, shower or any other religious ceremony. Many of the same dress and grooming guidelines apply. Mitchell advises you to dress up to show your respect for the occasion. “Men should wear a suit and tie or sport coat and tie, and women should wear dresses, skirts or business pantsuits — no bare shoulders, low décolletage or miniskirts, ever,” she explains. Alemao says appropriate gifts include a cross, a book on some aspect of religious life or a story, a personalized gift with a name engraved on it, a print or artwork with a religious theme, a statue or some other kind of religious symbol. She adds that you can also offer to make a dessert or part of the meal for the reception following the ceremony to show your appreciation for being invited. If you have additional questions about baptism or christening etiquette, check with the host family or someone you know who has attended such an event. Odds are they will welcome your questions and share advice that will give you a much better understanding of the ceremony.